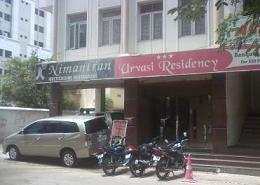 # 5-9-211, Chirag Ali Lane,Near Medwin Hospital Abids, Hyderabad, Andhra Pradesh, 500 001. Hotel SG Comforts is designed to provide absolute comfort and peace Well maintained air conditioned rooms modern ameni More Info..
7 - 1 - 209/1/A,, Ram Mirra Towers, Beside Satyam Theatre, Hyderabad, Andhra Pradesh, 500016. The Silver Park Ameerpet in the bustling business area of Ameerpet offers hospitality that is tuned to the tempo of your tour Check in and check out are ar More Info..
# 8-3-945/A/6/1, Ameerpet main road, Hyderabad, telangana, 500016. The magnificence splendor royal hospitality of Hyderabad with all three star comforts promotes the glory of Hyderaba More Info..
39, Public Garden Road, Nampally, Hyderabad, Andhra Pradesh, 500001. 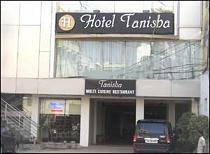 Hotel Harsha is centrally located and a short More Info..
#3-5-919 to 925, Main Road, Himayat Nagar, Hyderabad, Andhra Pradesh, 500029. Hotel Balaji Residency is located on the Himayat Nagar Main Road in Himayat Nagar Hyderabad The Rajiv Gandhi International Airport is approximately 35 km More Info..
H.NO. 1-8-303/26, Sana Consortium, P G Road, Secunderabad, Andhra Pradesh, 500003.
span styleFONT FAMILY Times N More Info..
1-240, 41 & 43, Parklane, Secunderabad, Andhra Pradesh, 500003. A place where one lives like an emperor dines like a king but still sleeps like a baby nestled comfortably in his mother More Info..
8-1-1, 2/2, Opp. Clock Tower,S.D.Road, Secunderabad, Andhra Pradesh, 500 003. 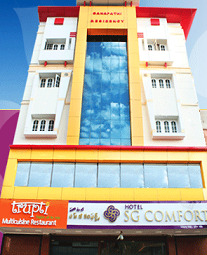 Time Square Hotel is one of the most popular hotels in Hyderabad which has been rated as Three Star for its superior qu More Info..
5-9-20/A, Opp. 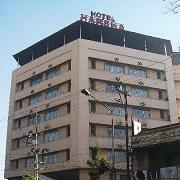 Old Secretariat Road, Hyderabad, Andhra Pradesh, 500004. Anmol international was started in 2002 as a three star hotel with 6 More Info..
65, Alexander Road, Beside Yashoda, Secunderabad, Andhra Pradesh, 500003. SPAN styleLINE HEIGHT 115 FONT FAMILY Calibrisans serif FONT SIZE 11pt mso fareast font family Calibri mso bidi font family Times New Roman More Info..